Waiting is the hardest part. I've been in contact with Makergear, and my kit is being prepared for shipment but will probably take another week or two before it gets into my hands. Oh well, I've been passing the time reading up on the various software packages. I've been looking into firmware packages for the RAMPS controller and think that the Sprinter firmware looks pretty promising. I think it can be driven by Repsnapper, one more thing to track down. 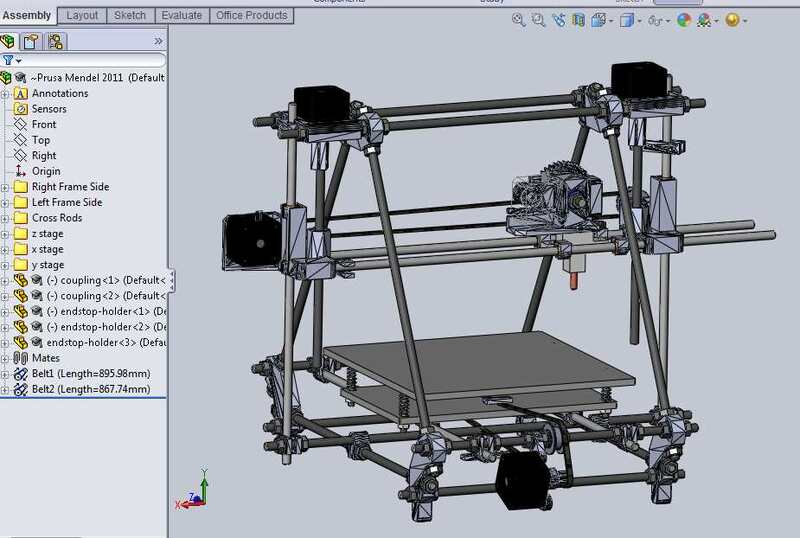 I also dug up the Solidworks model of the Prusa Mendel. It's really useful to be able to rotate the model around and see exactly how the different parts fit together. It is especially good for the extruder parts.